All of the members of our collective as well as other allied trainers and organizers are often available for phone consultations or meetings to discuss and develop strategic projects. Get in touch with us by sending an email here. Strategic planning creates a road map to lead an organization from where it is now to where it would like to be. It‚Äôs the vision and the plan! What is your group‚Äôs vision for the future? Does your group agree on that vision and how to implement it? What might prevent you from developing such a vision and implementing it? This highly practical and interactive workshop will get you to think strategically about your organization and forget your daily challenges and frustrations for a day. Instead, it will give you a set of strategic challenges from which you will be able to assess whether you are in fact doing the right things. What drives everything you do is a vision statement–what you are trying to accomplish over the next 5-10 years and where you want to be at the end of that period. Other topics include learning a process for doing strategic planning, including elements such as external analysis, organizational assessment, creating action plans and priorities to help you accomplish the vision, measures your progress and obtaining the necessary financial resources. Examine each stage of a campaign and learn about the art of escalation. 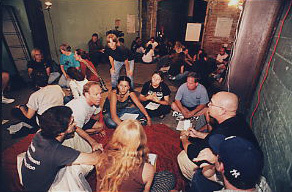 Participants working in small groups will develop a campaign on one of their issues. We will also explore group exercises to sharpen and hone our messages. Community organizing is also about building relationships how people without power get power, both as individuals and as a community. 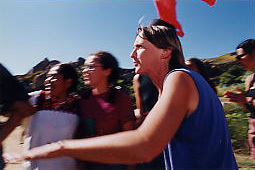 Community organizing begins in a local area, often as small as a neighborhood and builds on shared experience – rooted in a place or a cultural identity. When it succeeds, often leads to development activities and/or larger social movements. What are those skills for building relationships and starting new groups? This workshop covers the basics of developing a rap and communication tools, as well as an overview of building power strategically. A media presence is key to successful advocacy and fundraising. Whether it is print, radio, television, wire services or Internet media learn how to create a ‚Äúnews hook‚Äù to generate media interest. Learn how to develop relationships with reporters and assignment editors, and how to reach target audiences. Participants will break into smaller groups to learn basic media outreach skills, including crafting messages for media, developing press releases and other media materials, pitching stories to media, and preparing for media interviews. A weekend retreat or series of shorter workshops for groups to take an in-depth look at the issues of power, process and conflict that plague so many attempts to build a new vision. How do we challenge power-over, build true empowerment, and deal with the differentials of prestige, influence, expertise, and authority that arise in every group? What structures and processes can help us deal creatively and constructively with difficult people? How can we transform conflict and attacks and learn to constructively critique and mentor each other, so that our groups can foster creativity and nurture our strengths? Especially useful for new groups, or ongoing groups experiencing struggles around power issues or interpersonal conflicts. Social change is long term work, and on the way to realizing our vision of a better world, we suffer many setbacks. This three hour workshop for groups and individuals offers tools to move through burn-out, trauma, and just plain discouragement and find sources of deeper strength. We will learn ways to structure our groups to avoid burnout, to identify and heal from trauma, and to offer the mutual support that can help us hold a vision through hard times and t make it real. A weekend retreat or series of shorter workshops for groups and organizations to develop long range plans for social change work. This workshop offers tools for sustaining our spirit over the long haul, developing a long term vision, a strategy for getting there as well as a series of intermediate goals and specific campaigns. It can be tailored to the needs of specific groups and issues, and include tools for organizing and for building strength in specific areas, such as media campaigns or meeting facilitation. Highly recommended for new groups, or groups struggling to find a direction.